We’re nearly a year into the District’s experiment with legal marijuana. But the rules on the books in the nation’s capital are very different from the ones in places like Colorado, where full-scale legalization is in place. D.C. lawmakers are still debating where the city should go next on pot – and we’ll be exploring the issues in play on Friday’s special edition of The Politics Hour with guests Adam Eidinger and David Grosso. To help you prepare for the show, we asked WAMU 88.5 reporter Martin Austermuhle (whose dogged reporting on the issue has earned him the sarcastic title of WAMU 88.5 senior marijuana correspondent) to give us a primer on the state of the District’s cannabis debate. What’s with marijuana in D.C.? Is it legal? In 2014, the D.C. Council decriminalized the possession of marijuana, dropping the fine for having any less than two ounces to little more than a parking ticket. But later that year, 70 percent of D.C. residents voted to legalize possession outright, as well as allow residents to grow up to six plants and use it in their homes. That measure — known as Initiative 71 — went into effect in February 2015. So D.C. is like Colorado? No. While Initiative 71 does allow people to give each other up to an ounce of marijuana without remuneration, it does not legalize recreational sales — so don’t expect a Colorado-style green rush anytime soon. In fact, in Dec. 2014, Congress expressly prohibited D.C. from further lessening penalties for marijuana, meaning that a bill in the D.C. Council that would have let the city tax and regulate the sale of marijuana in retail outlets has been put on an indefinite hold. Also, while you can freely walk around with up to two ounces in your pocket, the 2014 decriminalization law maintains a prohibition on the use of marijuana in public or in places where the public could be invited, like bars and restaurants. So you can hold it, give it away, and use it — at home. That’s pretty much it. But I heard there’s these guys known as the Kush Gods that were giving pot away in exchange for a donation. Is that cool? The Kush Gods — a team of two would-be cannabis entrepreneurs — thought they had the system beat. In exchange for a “donation,” they’d give just about anyone marijuana or a marijuana edible. But D.C. police and prosecutors thought differently, and in December arrested the duo for allegations of marijuana distribution. In court documents, prosecutors say that what the Kosh Gods were actually doing was basically selling pot. Calling the money a “donation” wasn’t enough to make it legal; something of value was still being exchanged for marijuana, making it a violation of D.C. law. That’s not to say others aren’t trying to same thing — buy this t-shirt for $25, and get a gram of pot as a gift! — but know that unless they have a very good lawyer that truly found a loophole in the law, what they’re doing is against the law. So if sales are banned, what about medical marijuana? Sales of marijuana for recreational use are a no-no, but if you’re a registered medical marijuana patient, you’re allowed to legally purchase from a dispensary. Plenty of D.C. residents have chosen this route; as of January, close to 3,600 people were registered as medical marijuana patients. There are seven cultivation centers and five dispensaries in operation, and the D.C. Council is considering a number of measures that would let the program grow even further. But remember: you can’t just walk into a dispensary and claim you have a cold. A doctor has to write you a recommendation, and you have to receive a medical marijuana card from the Department of Health. And even then, you’re limited to the one dispensary that you choose. I keep hearing about private pot clubs. What’s up with those? 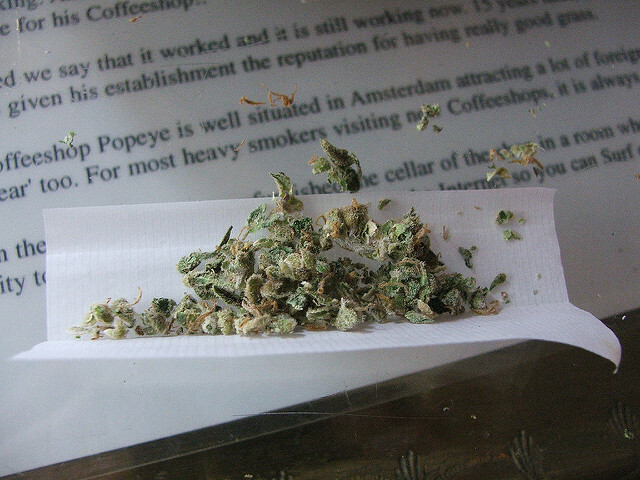 Back when decriminalization took effect, the law specified that marijuana use was prohibited in public or places where the public is invited. Well, attorneys for the city worried that there was a loophole in the law, notably that private clubs — places where only members or people specifically invited could go — would become gathering spots for people wanting to use marijuana. So in March 2015 the D.C. Council took effect, passing a bill that specified that even private clubs could not allow marijuana use. Legalization advocates fought the bill, arguing that people who use marijuana should be able to gather somewhere other than their homes. Their arguments started resonating in January, when the bill came up for reconsideration in the Council. Mayor Muriel Bowser pushed to keep the ban on private pot clubs in place, arguing that the city does not yet have the capacity to license or regulate such clubs. This month, the Council opted to extend the ban for another year, but also to set up a seven-person task force to consider whether private pot clubs should be allowed — and if they are, where they could go. The task force has 120 days to produce recommendations, and depending on what they say and what the Council decides, D.C. may well have pot clubs of some sort by as early as next year. If you have doubts about how your employer feels about marijuana, err on the side of caution. That’s because while D.C. has loosened its laws on marijuana, not all employers — including the federal government — have waived restrictions on recreational drug use by its employees. Also, possession might be legal in D.C., but it’s not legal on federal lands within the city. So if you find yourself being pulled over by U.S. Park Police in Rock Creek Park while you’re carrying an ounce of pot, know that citing D.C. law won’t stop them from citing or arresting you.